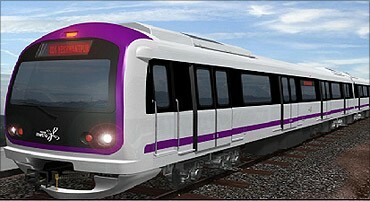 Rediff.com » Business » Will Mysore play host to mass rapid transit system? 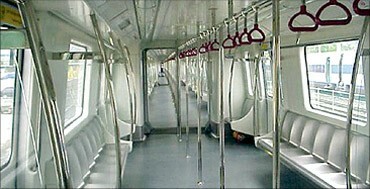 Will Mysore play host to mass rapid transit system? 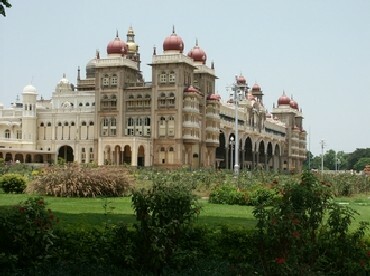 Mysore is the second most important city in Karnataka after Bangalore with a rich heritage and a big future. There was a lot of hype when the IT revolution set in about the big strides that the royal city would make and was considered one of the top 10 'B' cities. Though it has not met the anticipated growth, it did attract some IT major like Infosys which set up its biggest IT training centre. There are many medium and small level players too contributing to retain Mysore's status as the second biggest IT exporter after Bangalore in Karnataka. More than the industry-driven growth, Mysore is witnessing a phenomenal growth in attracting tourists, both inland and foreign. This is throwing up business opportunities in the travel sector. Three major hotels are coming up to meet the increasing demand for hotel rooms of star categories. The palace, which centred around the Maharaja and his ceremonies in the past, tops in attracting tourists on Sunday. While it is among the top tourist attractions in India, it is said to rank next only to Madame Tussauds in London in the list of most-visited tourist attractions. It sees an average footfall of 2.5 million a year. Last year, it topped at 3.1 million domestic and 70,000 foreign tourists. Considering the growing importance of the royal city, a proposal for a monorail was mooted in 2005. The local authorities invited Delhi Metro Rail Corporation Managing Director E Sreedharan, the architect of the mass rapid transit system in the country. Appreciating the foresight of the authorities, he had said selecting the right option was crucial for any mass rapid transit system to be successful. Enthused by this, the Mysore Urban Development Authority (MUDA) had announced that Rs 50 lakh would be earmarked for conducting a feasibility study to ascertain the right mass rapid transit system that would suit the city. But like many government-conceived projects, the concept received a quiet burial. Subsequently, the Nandi Infrastructure Corridor Enterprise (NICE) came out with its plans for a monorail between Bangalore-Mysore. Making a presentation on his plans, NICE Managing Director Ashok K Kheny had said a monorail could be laid along the median of the expressway that would facilitate travel at 200 km an hour to cover the distance in 40 minutes. This was about six years ago. The proposal was back in 2008 when C H Vijayashankar, as MP, had asked the MUDA to revive its proposal to undertake a feasibility study, promising that as a member of the Parliamentary Standing Committee on Railway he would pursue the proposal with the Centre and also with the State as BJP was in power. However, he lost in the subsequent Lok Sabha polls. 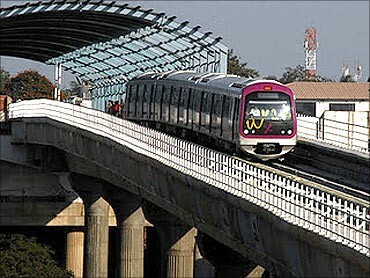 With growing hype on Mysore as heritage city, it should be seen whether the proposal for a mass rapid transport system would be revived now with 'Namma Metro' on rails now.